Lots of great artists have been making free printable calendars to drum up a little excitement for their work. I think this is a great way to market your work since (prospective) customers will be seeing your name/brand every time they look at their calendar. Subliminal messaging anybody? 1. 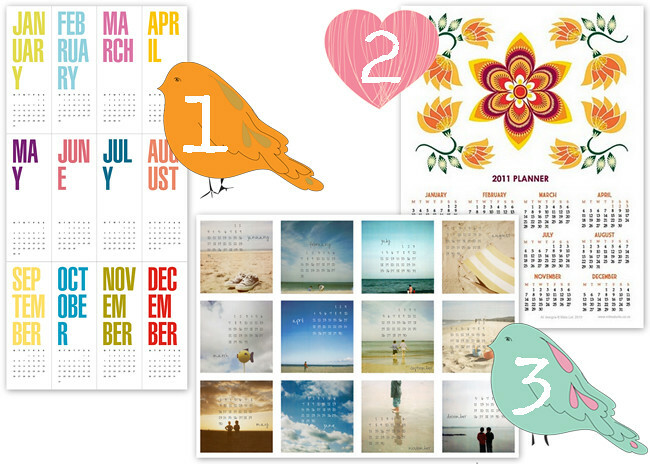 A Typical Type A has this lovely graphic calendar that would work in any room. Also check out her luscious stationary shop! 2. 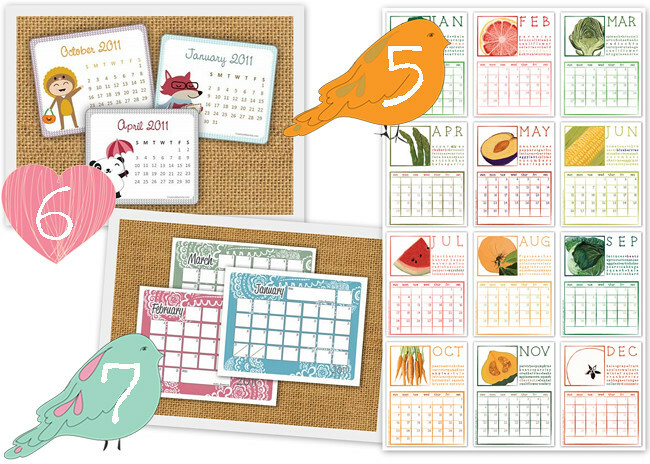 Mibo has a cute free retro year-at-a-glance calendar in addition to the for-purchase individual months in their shop. 3. Writer and photographer Irene Nam offers this gorgeous photo calendar. So pretty! 4. 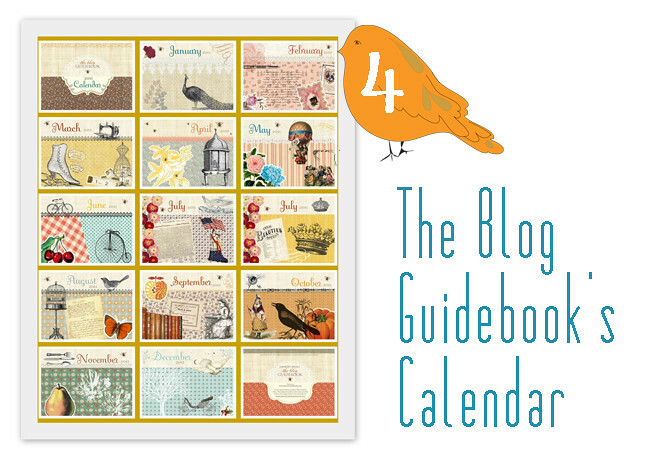 The Blog Guidebook is offering up this amazing collage-style 2011 calendar! 5. Cameron over at the Cottage Industrialist created this organic-style fruit and vegetable calendar. Check out her shop...gorgeous dramatic fabrics, printables, and sweet notebooks! 6. CreativeMamma's got a cute mini Kawaii calendar and also a (7) doodle calendar with space big enough to write in (so helpful). Check out the cute Kawaii printables in her shop! 8. 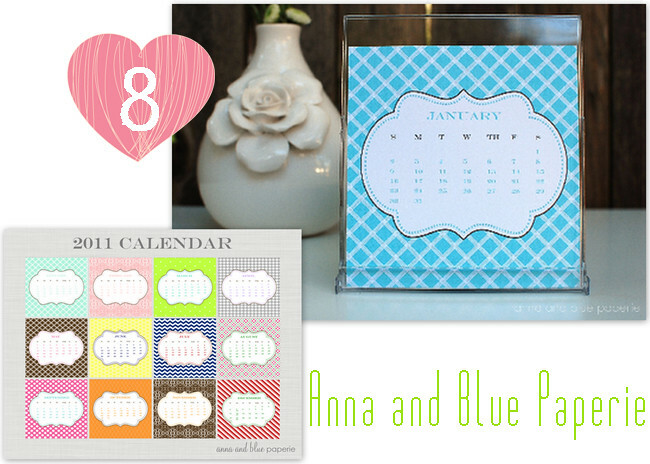 Become a fan of the Anna and Blue Paperie shop on Facebook and they'll send you this sweet printable desktop calendar. 9. 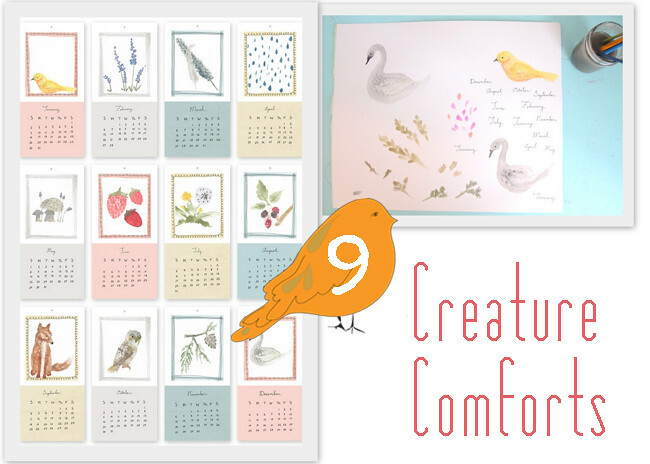 Ez over at Creature Comforts made this lovely nature-inspired watercolor calendar. 10. 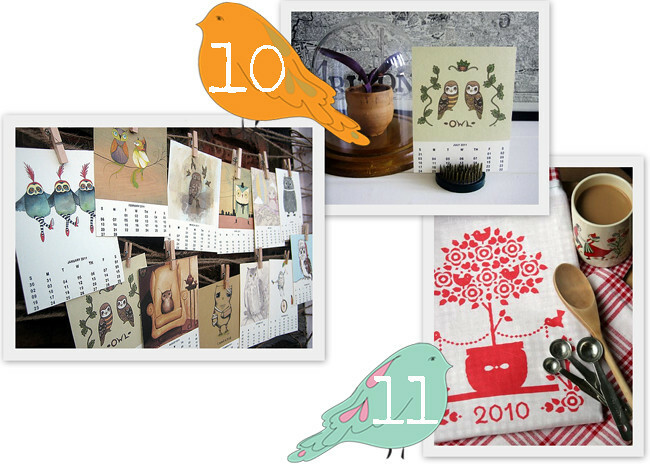 The amazing free owl calendar from My Owl Barn has been featured around blogland for good reason: it's cute and you get to pick which artwork you want on which month! 12. 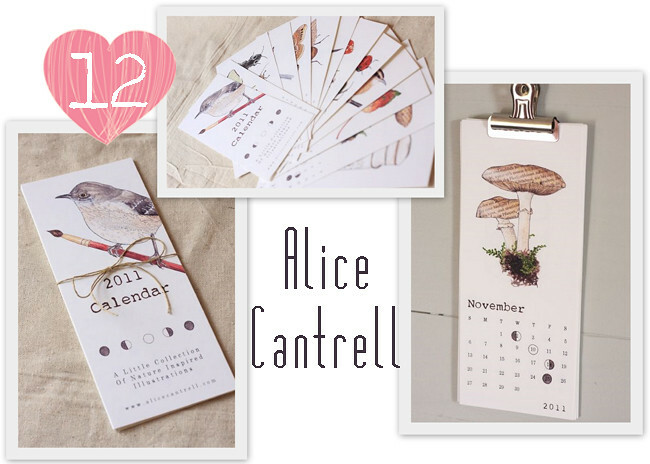 Alice Cantrell's free creatures of nature calendar is STUNNING! Wow. And yes, I love everything in her shop! *cute freebie blog flair from Maybe*Mej's free Camera Bird digital kit. Thanks Annamaj! A few DIY calendar ideas: the create-your-own free photo calendar template for PS/PSE I posted last month and this dry-erase perpetual calendar from Celeste Frittata. What about you? See any you think you'll be printing out? Or find a new shop to splurge in? 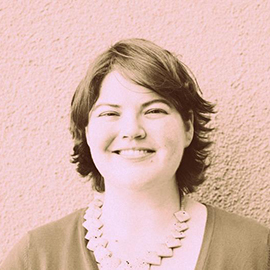 I like your blog and have to look around a little bit more.